Regendieb Pro Rainwater Harvesting Self Cleaning Filter – Freeflush Rainwater Harvesting Ltd. 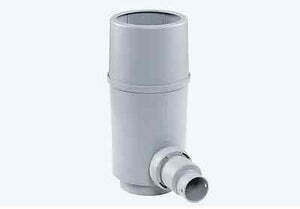 This is GRAF self cleaning circular downpipe filter showcases innovative German design. 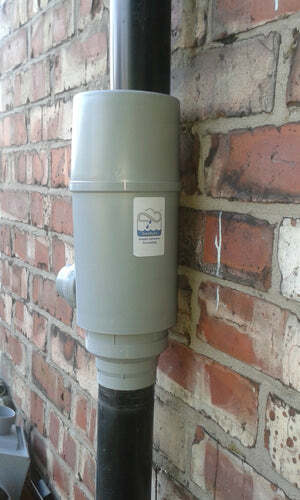 This represents a step change in rainwater harvesting diverters since the diverter filters leaves and other contaminants whilst capturing the majority of rainwater. This principle is shown in image 1. 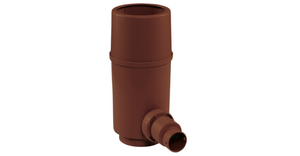 The downpipe filter is supplied with an outlet adaptor and tank grommet providing a complete solution. If additional hose is required please see below for details. 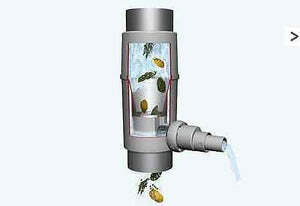 Why we like this product at freeflush? Steel filter mesh get the thumbs up! Suitable for larger downpipes - 110mm. Can be used with domestic 68mm downpipe with some modification; downpipe socket is required on outlet and internal funnel requires notching . 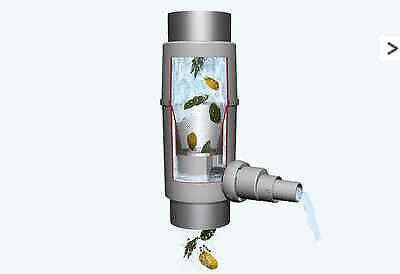 Want to find out more about filters and choosing the correct one for you, click here? 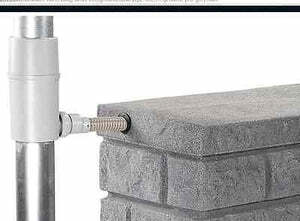 Require additional 1 1/4" (32mm) hose or 1 1/4" hosetail tank connector, click here?